The craft beverage industry is a great fit for so many people. There’s more to it than just being a brewer, distiller, or winemaker. From jobs that happen behind-the-scenes to roles that directly impact the customer experience, there’s something for everyone! Microbiologists and chemists in particular are extremely important in the craft beverage industry. If you love science, you have a place in producing exceptional beverages. Microbiologists make sure that the yeast used in fermentation and the bacteria used to add special flavors are happy and healthy, among many other things. Chemists are responsible for quality control and making sure the products are consistently delicious. The bigger the company, the more need for quality assurance and consistency so these places often have super cool science equipment that their scientists get to work with every day like a GC-MS-O. A science degree of some sort is almost always required. Those labels and advertisements aren’t going to create themselves! If you find yourself enamored with the look and feel of a label when you’re browsing the store shelf, and have an eye for design, packaging, and branding, this might be the perfect fit for you! There are studies proving that we buy a beverage more for the label than the actual drink itself! A graphic design or art degree is usually preferable and one complemented by an impressive portfolio will really help you stand out. Do you love talking about the industry and its products to others? Do you envision yourself putting on events, writing blog posts, figuring out who does (or doesn’t!) like a product, and making sure everyone is having a good time? 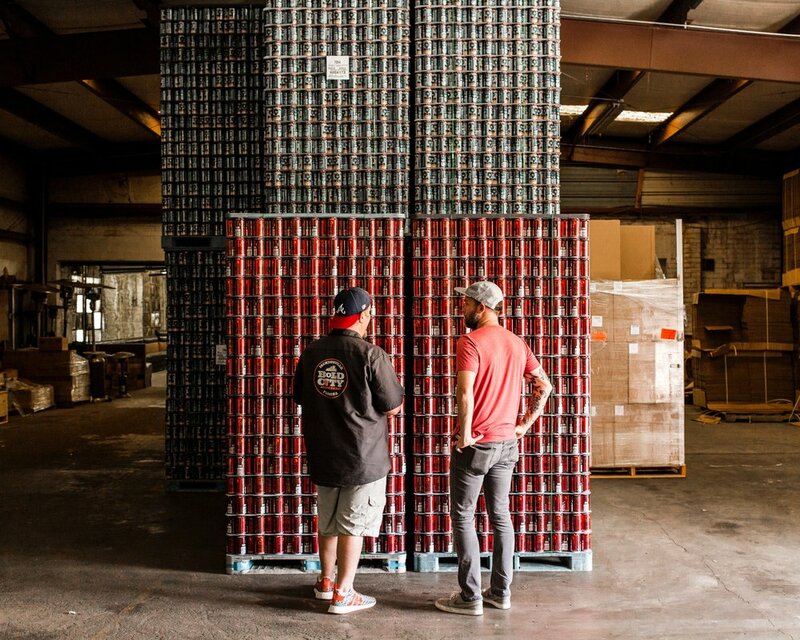 You could be the perfect fit for marketing in the craft beverage industry. A marketing or communications degree can help you get the gig with a high profile brand. In the meantime, start as a brand ambassador or volunteers your time at your favorite company pouring at events. Are you a people person? As a tasting room or bar manager, you’re responsible for making sure operations run smoothly on a daily basis. You’ll be in charge of making sure bar and wait staff are well trained in terms of the product, policies, and community interaction. A positive attitude, willingness to do things before you’re asked, and a tolerance for working evenings, weekends, and holidays will help. Management experience, especially in a restaurant or bar setting is usually required, and preferred so you know what you’re walking into. If you’re interested in sales as well as fostering relationships with bar, restaurant, and retail owners and managers then this is the job for you. Sales reps are almost always in demand and you can work practically anywhere in the world! Sales experience, organizational skills, and tough skin for when you get a “No” will definitely help you succeed in this position. Even breweries and distilleries need IT help from time to time! If you love working with computers and getting perks like free beer or wine, then IT in the craft beverage industry is technically for you! Maintaining internal computer systems, helping office personnel as well as programing equipment could be things you get to work with. A degree in computer science or IT-related experience will benefit you greatly. Looking to be the brains behind the equipment in the craft beverage industry? If so, then being a technician could be your dream job! Technicians are vital to the industry and help make sure everything with a button, knob, or plug is functioning smoothly behind the scenes. You can help service, maintain and install tap lines, refrigeration, water cooling systems, brewing kettles and anything else you could imagine! This is one example that could be a catch-22 regarding experience. You’ll need it for the job, but often won’t be fluent in the job without it. Ask to shadow a friend, intern or get an apprenticeship. Due to the popularity of the craft beverage industry at the moment, it’s a pretty competitive job market. Don’t worry if you have to start out doing the dirty work (brewing equipment gets pretty mucky) or boring work (yup, craft beverage companies have lots of paperwork, too). Get a good degree in the field that most inspires you and then start approaching the big businesses or the up-and-coming businesses you could see yourself working at. Frequenting tasting rooms and restaurants can help you get a feel for the culture of the company and also help you become known to the staff. Join local craft beverage groups on Facebook to start plugging into communities that might lead to a new career. If you can land an internship or apprenticeship at a big-shot company your chances are likely going to be higher at least for an interview. Just remember, the industry is very popular while still fairly small, so word travels fast—don’t burn bridges! Happy job hunting! Chelsey is a Craft Beer Enthusiast who loves adventures, Star Wars, the San Jose Sharks and her cat, Torpedo. Recently engaged to her best friend and fellow Craft Beer lover. She loves brewing and drinking beer as well as sharing her passion with others.